Hi, my name is Usuff and I had pretty high blood pressure yesterday morning. It rose to 171/113, which was pretty high for me. It was that high because I was experimenting with some B vitamins. And that experiment went disastrously wrong. In the evening my blood pressure was still high, although it had dropped a little bit to about 170/100. Not good, remaining high for so long the whole day. 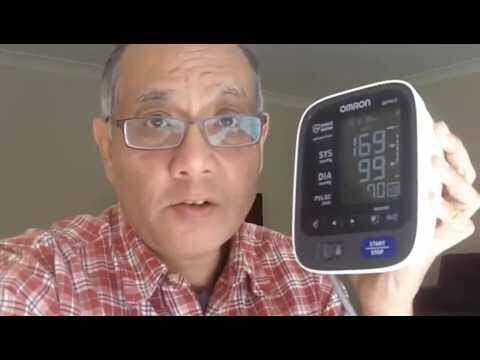 I remembered a technique for bringing down high blood pressure quickly that I read in an ebook. And I applied the technique and I brought it down fairly successfully. How To Lower Blood Pressure Quickly. If you’ve ever lost control of your blood pressure, and it rises way too high, here’s a technique you can use to bring it down quickly. This technique is taken from Virginia Sturm’s ebook entitled Natural Solutions to High Blood Pressure. In this ebook Virginia explains the causes and dangers of high blood pressure. And outlines thirty natural ways to lower it. One of the ways she gives is “soaking feet in hot water”. When my blood pressure rose dangerously high, in desperation, I tried this technique. And it did drop my BP down to a safer level within an hour. Much to my relief. Here’s my story. One morning my BP hit the roof. It was 171/113. I reacted badly to a supplement I was taking. After coming home from work my BP was still dangerously high. I needed to bring my BP down quickly. In desperation I tried Virginia Sturm’s technique of my soaking my feet in warm water. I improvised and found a plastic recyling bin and emptied it. I then filled it with very warm water. As hot as my feet could tolerate. At 8:39pm, just before placing my feet in the water, I measured my BP. I used a reliable Omron BP monitor. Before soaking my feet, my BP was 169/99. In other words, my BP had been high the whole day. Not good. I placed both feet in the warm water. The water was actually a bit hot. Over the next hour I watched it fall nicely, down from 169/99 to 140/82 in just an hour. In other words, this technique lowered my blood pressure from around 170/100 to 140/80 in an hour. That’s a big drop in a short time. And a huge relief. I kept soaking my feet the rest of that night. My BP did rise back up, but not as high as before. It stabilized around the 150/90 mark that evening. Soaking my feet in hot water worked for me. I thank my lucky stars. I made this video because others may be in a similar situation and want to know how to lower blood pressure quickly. Obviously, it’s not a permanent fix. But it buys time. Time to look at more permanent solutions. Other BP lowering advice can be found in Virginia Sturm’s ebook. If you’re interested in her other ways to naturally lower BP, just go to BPGoLow.com. By the way, although Virginia advertises herself as an ordinary Mum, she is in fact a research scientist at the head of a university medical lab. To find her ebook, just go to BPGoLow.com. Or just click the link below this video. Thanks for watching this video on how to lower blood pressure quickly. Please note. This video is not medical advice. If your BP rises dangerously high, please visit your doctor or the ER. High blood pressure is a serious medical issue. .